A Software from the future! Everything You Need to Run Your Business Digitally. Scale up, adopt new business models, Our business suite application flexibility lets you do it all, quickly and easily. You can use it for any business types, any industry. If you do not need any feature, you can simply disable it from Settings. Currency, language, timezone everything can be changed from Settings. No powered by, no copyright links, no license expiration's, It's yours. Now it's easy to organize your business finances in one place. 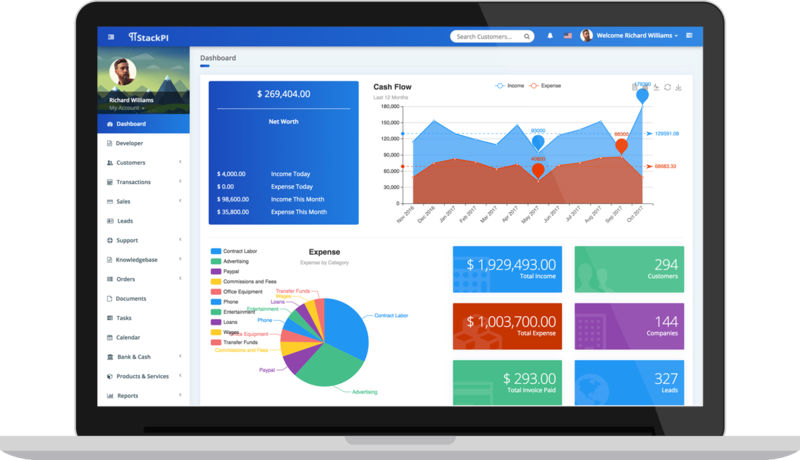 Instantly see how your business is performing, make smarter business decisions with instant access to key financials including income, expenses, outstanding invoices, and more. You can check our live Demo, if you have any question, you can also chat with us.